Some friends and I went and saw the movie, The Theory of Everything, based on the life of the well-known Cosmologist and Atheist, Stephen Hawking. I’ll be honest. I think we all felt a bit odd, six Christian church-going women throwing down some popcorn while listening to a movie about a guy whose sole purpose in life seems to be to deny the God whom we serve. But I actually found the movie really interesting. I learned a lot, even though I vehemently disagree with Stephen’s viewpoint on the origin of time. It was a mine-stirring movie, I will give it that. Why are we so afraid of atheists? Why are we offended by their disbelief of God? Oh, maybe not ALL of us, but go to any online forum of mixed religions and you have atheists or agnostics railing against God and Christians blasting them for their blasphemy. The disbelief of God should break our heart, not offend us. It should make us sad, not mad. It should make us pray, not fear. If we’re going around the world being offended by unbelievers, something needs to change. Isn’t compassion what we should feel? Isn’t showing God’s love to those who need it most what we are called to do? I don’t think we do this to be mean. On the contrary, I’m very sure that our instinct comes out of a love for our Saviour and a desire to “stick up” for Him because of all He’s done for us. But good motives doesn’t always = good actions. God doesn’t need our wrath or righteous anger. He doesn’t call us to berate those who don’t believe in Him. He does, however, call us to love them. To show them GOD’S love. 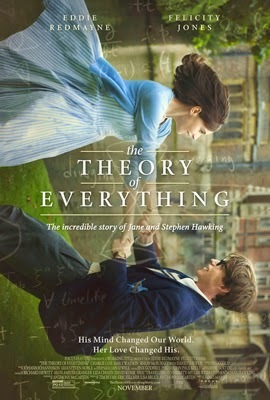 Have you seen The Theory of Everything movie? Do you find it difficult to talk with those who don’t share your faith? And lest I assume that everyone who reads this believes in Jesus, feel free to add into the discussion as well from that point of view as well. I have not seen Theory of Everything yet, but I would like to. I enjoy an intellectual, philosophical challenge. I agree that atheism should break our hearts and make us sad. Atheists were created in the image of God. They are intrinsically valuable, though their worldview tells them otherwise. An atheist would tell you that his unbelief is liberating and allows him to enjoy life and to work to improve humanity. However, at the end of the day, there’s no answer for the question “why?” when the universe doesn’t care. That’s just sad. An image bearer of God should know why and believe it. I do not agree that the “disbelief of God should not offend us.” This disbelief condemns these precious image bearers of God and imprisons them in darkness. We as Christians should be angry that souls are being lost to this and any other heresy. Our anger should not drive us to religious jihad against atheists or any other unbeliever, but it should drive us to spiritual warfare. “We do not wrestle against flesh and blood, but against the rulers, against the authorities, against the cosmic powers over this present darkness, against the spiritual forces of evil in the heavenly places (Ephesians 6:12).” Our anger should drive us to pray and to think and learn and believe harder. We need to know the enemy so that we do not fear him but are better equipped to confront him and demand the release of his prisoners. Sometimes obtaining the release of these prisoners involves telling them that they are indeed prisoners, something they might not want to hear, having been brainwashed by the enemy. So, I would say, don’t be afraid of atheists. Be grieved for them. Be angry that they are held captive by a deceptive worldview. Don’t be ashamed of your anger towards the real enemy. Go after the enemy in the power of the Spirit.